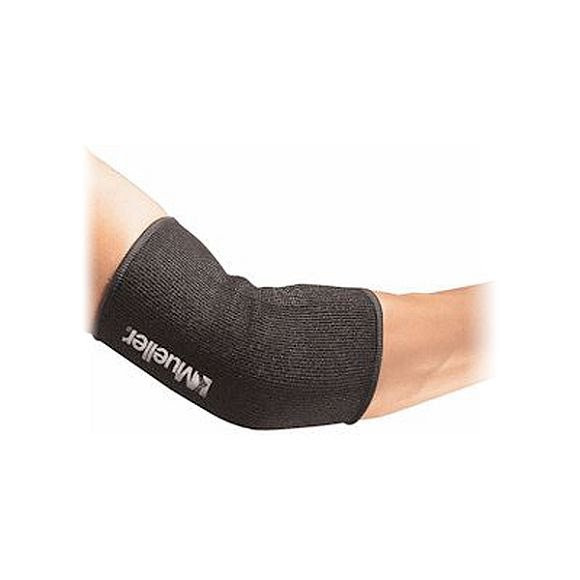 This lightweight Mueller elastic knit provides firm support and maintains full range of movement for stiff, weak, or sore elbows. The contour design helps prevent bunching and slippage, ensuring a proper fit. Reinforced trimmed edges improve durability.